The magic of the 21st century is its immersion with technology. Technology is a wide term in itself. It now covers almost every aspect of human life. Since the beginning of 21st century, we have witnessed a landslide in innovative technology. First we had cars that required two arms and two legs to drive, now they require none. Then we had planes that required a human pilot, now they require none. In scientific terminology, pilot-less planes are called drones, or Unmanned Aerial Vehicles. Drones have somewhat been leading objects in science and technology. Universities, governments, armies have all started to invest heavily in the drone industry. We saw in the uprising in Libya that rebels controlled aerial drones for spying with a PlayStation 3 controller, yes, a PlayStation 3 controller. We all know of United States’ drone program to curb terrorism. 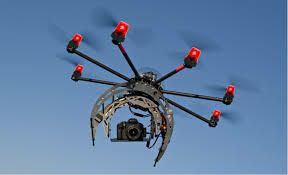 Now the use of drones has penetrated commercial usage. According industry experts, the commercial drone industry could grow to be worth $10 billion in the next 3 years. Experts predict that drones are widely used in warfare, but they have much greater usage in the public and private sector. A firm that specializes in drone technology, Modern Technology Solutions, asserted its intentions to widen its drone program into the commercial sector. According to Modern Technology Solutions, advancement in the commercial usage of drones has been sluggish and stagnant due to vague and inharmonious airspace regulations that would allow drones to maintain presence in United States’ airspace. Predictions such as those mentioned above coming from a firm as well-established as Modern Technology Solutions are substantial and potent. Modern Technology Solutions has rendered assistance to NASA, Federal Aviation Administration, and the Pentagon. This emphasizes Modern Technology Solutions’ position in the industry.